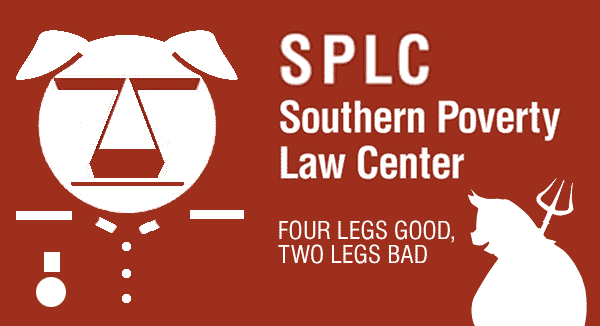 ….the Southern Poverty Law Center into one of the nation’s wealthiest and best-known legal advocacy groups. …But the group now finds itself beset by internal conflict. Mr. Dees has been fired and other top executives have quit. The staff is demanding that leaders address a climate of intolerance inside its offices. The tumult, including pointed allegations of sexual harassment and racial discrimination, comes as the center’s influence has surged in the Trump era. …At the same time, the center has come under scrutiny from conservative groups who have accused the organization of maligning them for political differences. Since the 2016 presidential election, hiring at the S.P.L.C. has increased. Mr. Dees’s firing ended a career studded with successes but shadowed by questions of sexual misconduct and racism. The center’s president, Richard Cohen, and other senior leaders recently said they would follow Mr. Dees out the door. Although the center has refused to detail the circumstances behind Mr. Dees’s firing, it said it had dismissed its 82-year-old co-founder after he was twice investigated for “inappropriate conduct.” Both inquiries, the organization suggested, led to discipline. Mr. Dees has denied wrongdoing, but he acknowledged that he was the subject of a 2017 complaint made by a female employee who said his actions had made her feel uncomfortable. Current and former employees said Mr. Dees’s dismissal was only part of the turbulence rattling a social justice organization afflicted by morale issues, staff turnover and a sense that the center has not embraced the values that it champions across the country. Why are these guys the ones who are trusted to “fact check” social media? The Southern Poverty Law Center is not a legitimate arbiter of public discourse. It poisons public discourse for profit. Amazon has decided to pull the Alliance Defending Freedom from its Amazon Smile program, in which shoppers can send a portion of their Amazon purchases to charities. Because the Southern Poverty Law Center has labeled ADF a hate group, Amazon yanked its opportunity to receive donations on an equal playing field with other Amazon Smile participants, which include highly political leftist organizations Planned Parenthood, the American Civil Liberties Union, Media Matters, and Oxfam-America. ADF is a nonprofit, First Amendment-focused legal organization that has successfully argued in front of the Supreme Court seven times in the past seven years. It is not some Klu Klux Klan revival, and to suggest so is both false and deeply offensive. Yet slandering good-faith people is SPLC’s raison d’etre. Why? Because that’s how it rakes in millions of dollars a year, show its latest tax filings, to fund its astronomical $432,723,955 endowment and management’s $200,000-$350,000 annual salaries (plus perks!). Numerous media outlets and watchdog organizations have documented this reality, and over several decades. The Atlantic and Politico have covered, albeit in friendly fashion, the organization’s decision to group with neo-Nazis, black power groups, and Klu Klux Klan chapters people and organizations like Sen. Rand Paul, Housing and Urban Development Secretary Ben Carson, ADF, the Family Research Council, the Center for Immigration Studies, and Muslim reformer Maajid Nawaz. Publications that have exposed SPLC’s hate-profiteering include Tablet magazine; a newspaper local to SPLC’s headquarters, the Montgomery Advertiser; Philanthropy magazine, Harper’s magazine, Megan McArdle at Bloomberg; The Weekly Standard; City Journal; National Review; and The Washington Free Beacon. Simply put, SPLC is not a legitimate arbiter of public discourse. It poisons public discourse for profit. Its business model is to target groups and people, sometimes with baseless smears, to gin up fear and anger so people send SPLC gobs of cash it largely doesn’t use to benefit the oppressed. Neither Amazon nor major media outlets — such as CNN, The Los Angeles Times, The Boston Globe, The Washington Post, the Associated Press, CBS, and PBS — should amplify or give any credence to SPLC’s highly partisan, highly personal, self-interested fear-mongering. Trust the paid “experts” to tell you what the most hateful people are saying, just don’t ask them to show you how they arrived at this list. – Illegal Immigration… (because if you think immigration should follow the laws and constitution, you’re spreading hate. – Telford… (because if you’re concerned about a decades-long cover-up of child sexual abuse and murder in the highest ranks of the police and government, you’re a hate monger.